A common request I get is to help people organise their emails. There are two main ways to organise emails. The first one, which I call Zero Game, is for people who need to be highly organised (often a business user or for people who enjoy high levels of organisation). The second method is called Folders and Tags. 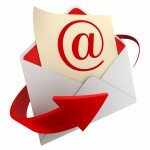 As well as being a method of digital communication, emails are really just information of some kind. Information should lead to some form of action. A to do list item – an action with no specified date it needs to be done on (it may have an optional location, such as a specific shop to buy printer inks etc). Filing – information that you might need to retrieve later but has no obvious action, date or location. It is pure information that may have a future action. One example is pension information, you don’t need it until you change, update or claim your pension. Car insurance documents (or copies of them) might be another example. Transitory – information that needs to be read in this moment, but doesn’t need to be filed or acted on in the future. You can either do the task immediately or it is just information that you will remember (an example might be a joke or a weather report). You don’t need to take any action and you don’t need to store the information in your filing system. Waiting – you need to wait for some external event to occur (this might be that you are waiting for someone to get back to you or for something else to happen). Once the external event occurs you can then process this properly. Most email systems have what is know as an Inbox. This is the place where all emails arrive (unless you have an email filter (also known as an email rule) set up. This is similar to the in-tray used in offices. Someone will place documents and letters into you in-tray ready for processing. This is also the intention of an email Inbox. The idea is that after processing emails you then have none left in your Inbox. They are either stored in an email folder or they are processed in another way (see the two methods below, namely Zero Game and Filters and Rules. As the name implies the idea is to have close to zero emails in your email system. This is a digital equivalent of the tidy desk policy some offices utilise. A tidy desk policy is where at the end of each day you should have a completely tidy desk (it implies that everything is in it’s rightful place ready for the next day’s work). As previously mentioned this method is more for businesses or for people who enjoy being highly organised (due to having a lot of emails). Here is an overview of what to do with each different type of email you receive. Note that almost all emails are deleted (except the type of email known as Waiting). If you want more information on this then contact me or leave a comment below. An organisational system that can be used well alongside this method is called GTD (Get Things Done) which was created by an organisational expert called David Allen. You can sort emails manually by moving them to the folders, however a more efficient method is to utilise email rules (sometimes known as filters). A rule tells the email system how to process a certain email when it arrives. Certain actions are taken dependent on certain attributes of the email. Some attributes might be who the email was sent from, or certain keywords in the subject line. When your email system receives a new email it will check to see if any rules (or filters) you have set up are applicable. For example if you receive an email from fred@hotmail.com then the system will automatically move it into the folder called Friends. In this way your emails are automatically processed and sorted. Any emails that don’t match one of the rules will remain in the Inbox for you to manually process (i.e. you can manually move an email from your Inbox to another folder, or you can delete it manually). Again let me know if you’d like to learn more about how to organise your emails. I’m always hoping to make people’s lives easier. Although there is a learning curve with the above methods, it should benefit you by helping your email to become more organised.